jeremy hunt | My Life in a Bush of Ghosts. Smirking Jeremy Hunt runs away from protests as he faces new calls to negotiate. Jeremy Hunt has been urged to negotiate with junior doctors as their fifth strike hits A&E units. Hunt has been told he is solely to blame as emergency doctors are poised to walk out today for the first time in NHS history. 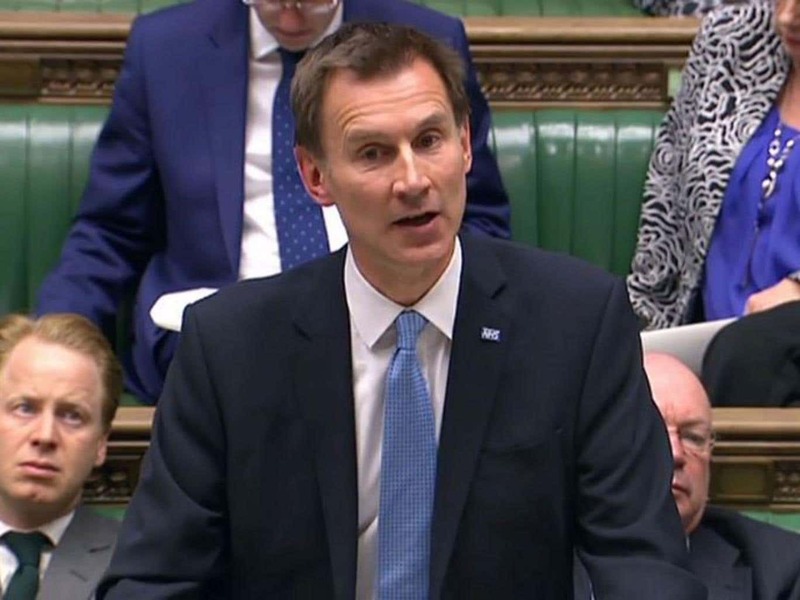 Campaigners, unions and MPs rounded on the Health Secretary last night after he refused a compromise deal with junior medics in the long-running contract row. The minister was also ridiculed for dodging the doctors’ protest outside the Department of Health by taking a Government limo just 50 yards to Downing Street. Labour’s Shadow Health Secretary Heidi ­Alexander clashed with him in the House of Commons and described the latest industrial action as “one of the saddest days in the history of the NHS”. Junior doctors will go into Tuesday’s all-out strike without the explicit backing of any of the profession’s royal colleges amid signs of deep concern among senior consultants that both sides in the dispute need to compromise. Hospitals across England are finalising plans for dealing with the strike that will be the first in the history of the NHS to affect emergency, paediatric and maternity services. It will run from 8am to 5pm Tuesday and Wednesday. So far, more than 125,000 appointments and operations have been cancelled. But the scale of the action – and the potentially dangerous impact on patient care – has split the medical profession. In statements over recent days, each of the specialist medical royal colleges have stopped short of endorsing the industrial action and have called for an end to the “damaging stand-off”.